The MVC staff are a planning resource for the Town of Aquinnah, MA. Our staff of planners, scientists, and cartographers provide technical assistance and guidance on various projects at the Town's request. In addition, we also submit grant applications on behalf of the town. Read on to learn of our latest joint efforts. The MVC has an extensive program of pond water quality monitoring across the Island. 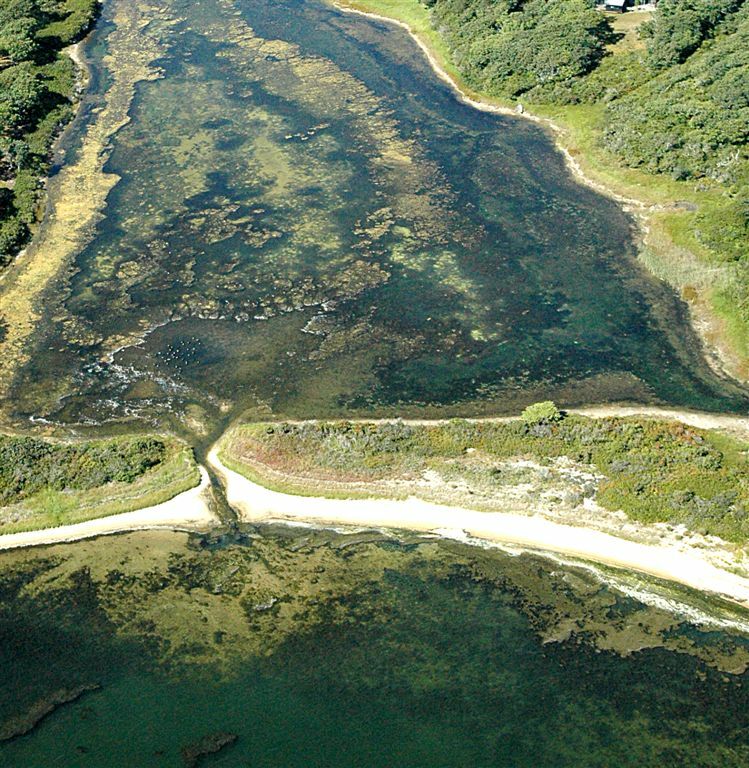 Since 2015, the Aquinnah ponds have been sampled. This past summer, Menemsha and Squibnocket Ponds underwent weekly sampling July thru September. Samples are tested for: temperature, salinity, conductivity, pH, dissolved oxygen, nitrogen, phosphorus, chlorophyll. These data are beneficial to determining the nitrogen loading limit of the ponds – an indicator of pond health. See our Ponds & Watersheds page for more details and visit our Coastal Pond News for relevant articles about water quality initiatives. For specific questions, contact our Water Resource Planner, Sheri Caseau. Working with the Town's Planning board, the MVC is assisting in the coordination with different stakeholders to analyze space constraints and draft different concept visuals for Town leaders to review. Under consideration is an ADA compliant walking path from the shops to the Gay Head Lighthouse and revised parking. For more information, contact the Planning Board's Adminstrative Assistant, Sophia Welch or the MVC's Regional Planner, Dan Doyle. 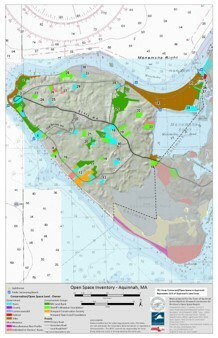 The MVC is assisting Aquinnah's Conservation Comission with their Open Space and Recreation Plan (OSRP). The Executive Office of Energy & Environmental Affairs, Divsion of Conservation, encourages communities to update their OSRP every 5 years. The draft plan submitted in July of 2017 has been conditionally approved thru September 2023. A community with an approved OSRP becomes eligible for various grant programs administered by the EOEEA and through this planning effort, and the plant & animal habitats and recreational areas remain a part of the community's landscape. For more information, contact the Conservation Commission member Sibel Suman or the MVC's Executive Director, Adam Turner for more details.